Joshua boxed shrewdly if unspectacularly to beat Joseph Parker on points in his last fight and the Anthony Joshua vs Alexander Povetkin odds on it going the distance at Wembley are 5/2. However, poor refereeing from Luis Pabon, who allowed Klitschko to repeatedly lean on the smaller man between exchanges without any punishment, undoubtedly played a part in the one-sided nature of the fight. I can tell you from first-hand experience that he’s a very accurate puncher. 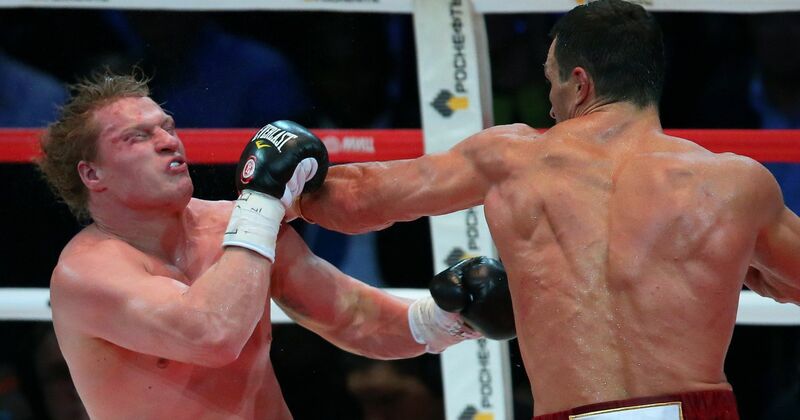 Aside from the survival skills evident in reaching the final bell on that occasion, 2004 Olympic Super Heavyweight gold medalist Povetkin also has a lauded technique, which makes him a knockout threat. For example, whereas revered puncher Joshua’s win over Carlos Takam saw the show stopped with the Frenchman still on his feet and compos mentis, the Russian KO’d him cold with a punch he didn’t even see. Nowhere else will you find better odds on round betting for boxing than at William Hill. 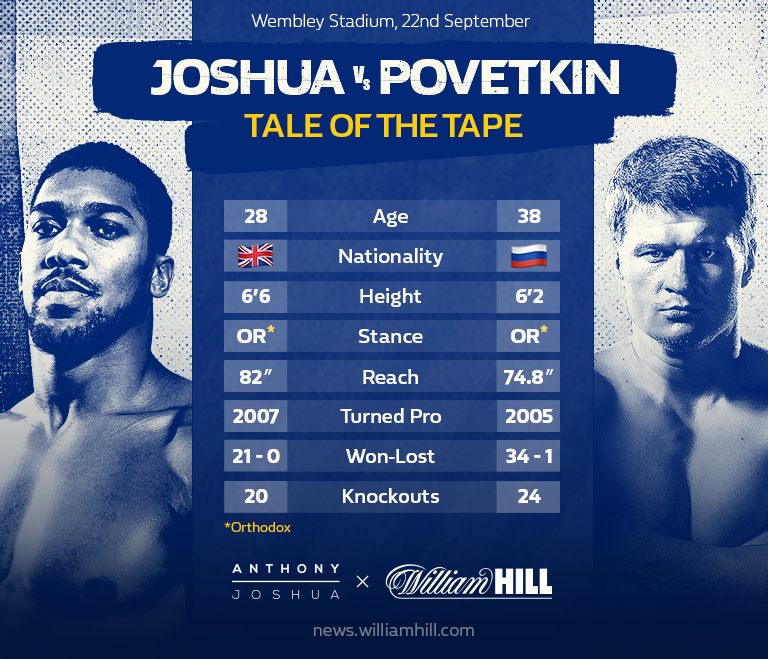 Anthony Joshua 1/9, Alexander Povetkin 11/2, the draw 25/1. The Anthony Joshua vs Alexander Povetkin odds rate the latter more likely to win by KO, TKO or DQ (9/1) than by decision or technical decision (22/1). Concerns over the Russian’s power could contribute to a relatively circumspect showing from Joshua, who is 11/4 to prevail on points. William Hill announced the signing of Anthony Joshua on a one-year-deal earlier this month. The 28-year-old will be looking to become the be the first undisputed world heavyweight champion since Lennox Lewis in 2000.